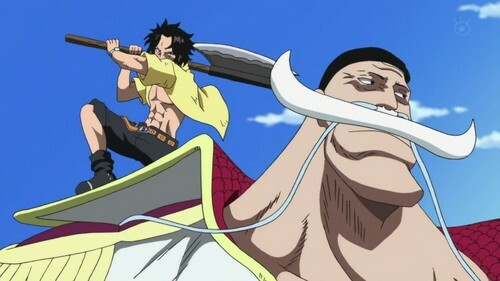 Ace attacks Whitebeard. Ace tried all the time to kill Whitebeard after he comes in his crew. HD Wallpaper and background images in the Edward Whitebeard Newgate club tagged: one piece whitebeard pirates whitebeards crew whitebeard ace.